Announcing a new Stress Group! 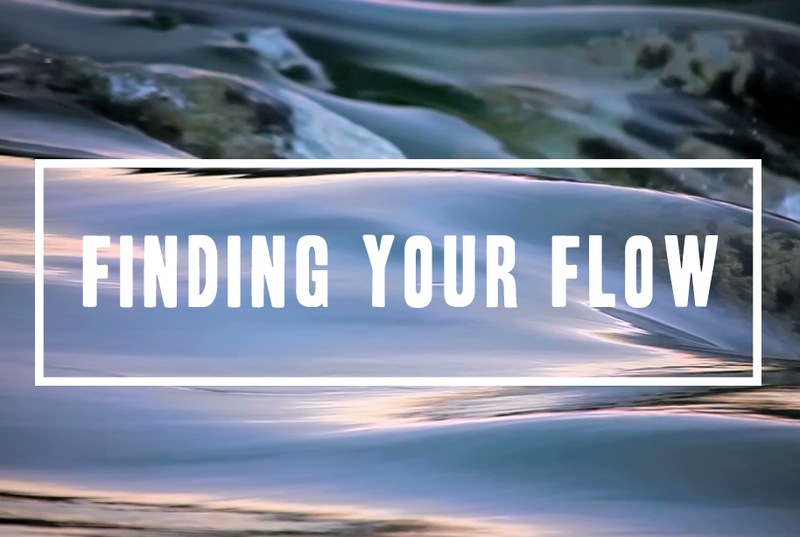 Finding Your Flow: Recovering from Stress and Burnout! Feeling stressed and aren't sure what to do about it?!?!? Come join us in a group learning experience to figure out how to manage even on the worst days! Who: Professionals in the helping professions (nurses, counselors, first responders, etc.). Limited to 12. What: Combination of psychoeducation, counseling, and therapeutic exercises to facilitate decreased anxiety, stress, depression, and increases in health and wellbeing. Members will be selected based on appropriate fit for the topic and the group dynamics. Barb’s bio: Barb, an LCPC, grew up in Great Falls and worked as a school counselor prior to venturing into clinical counseling. Barb works with young children, adolescents, and adults, but focuses more on children and adults. Her primary approaches include Ellis’ Rational Emotive Behavior Therapy along with cognitive therapy and mindfulness therapy. Barb is a co-Founder of Renew Wellness Center. Stacy’s bio: Stacy, an LCPC, has concentrations in both school and clinical counseling and works with a broad developmental range from young adolescents through adulthood. Her approach is primarily focused in Ellis’ Rational Emotive Behavior Therapy and Cognitive Behavioral Therapy, although she is versed in many approaches. Stacy is often seen with her therapy dog Mick, who loves interacting with clients. She notes that many clients find petting Mick helps reduce anxiety and stress. Stacy is a co-Founder of Renew Wellness Center. Ryan’s bio: Ryan is a counselor-in-training working at Renew Wellness Center. He uses an integral therapeutic style, incorporating humanistic, gestalt, solution-focused, mindfulness based and expressive art therapies. Ryan also has a Ph.D. in psychology and has additional prior training in group projective dream work and spiritual direction. Outside of the clinical office, Ryan works as a Higher Education administrator and researcher. This is one of the best blogs I have read in a while. I didn't realize that most of my time I spend communicating with myself is a continual event of self-sabotage.... it's always one more netflix movie, ten more minutes, or I will eat lunch then ... it is silly. I find myself doing this with house work, work, homework, whatever task I have that I struggle to do. My weightloss journey has been this exact cycle over and over again. There are so many things that fall into this category during my daily life. Let's start with the suggestions in this blog and make small goals that can be attained within a day. Take time to respond to your positive thinking, and push out the negative thoughts, don't let them become your words and actions! ! This is what we continually combat when we sabotage ourselves. It is a challenge to be fully congruent! If forgiveness is the answer to anxiety, frustration, anger, shame, hatred, blame, and so many other feelings why is it so hard to do. Why are we unable to the the vast benefits to our health; mental and physical? Why is that not a driving force to launch us into a mental change? Well change is hard.... it is hard to do it and even harder to sustain it! The other night I was frustrated with with myself. No I was not frustrated, I was pissed!! All I could think about was getting home and taking a nap, but I have so much to do, chickens to feed, dog to play with floor to mop, dusting, exercising ect... the list could go on forever! Well instead of challenging myself and forcing myself to get moving, make good choices, I started to wallow and take a nap. All the while o was thinking "I HAVE TO get up!" "I OUGHT TO get my chores done!" What I didn't realize was that I was just "ShouldING" on myself and my self worth! I spent so much time being mad at myself and playing the victim role, that I wasn't able to take action. I knew that if I were to think about it in a way that was more oositive, such as "I would feel so much better and I would sleep better if I ........" but I didn't. I know you are probably wondering why I would write about this when the topic is forgiveness?!? Well this scenario is probably one of the most common I see on a daily basis while working with clients. THE INABILITY TO FOGIVE YOURSELF. This doesn't mean that I just forget about what I did or did not do. It means that I am able to remove quilt blame and shame from myself and focus on more positive feeling and building positive relationships. I can practice keeping my thoughts, actions, and words congruent. Ensuring that I am focusing on being positive, by slowing my thoughts and redirecting the negative thoughts to positive thoughts! When I focus on too much megative, I start to feel like a failure, I start to dig myself into a depression pit that is difficult to get out of! I DO NOT like to be there! Forgiveness doesn't mean you are pardoning or excusing the other person's actions. Forgiveness doesn't mean you need to tell the person that he or she is forgiven. Forgiveness doesn't mean you shouldn't have any more feelings about the situation. Forgiveness doesn't mean there is nothing further to work out in the relationship or that everything is okay now. Forgiveness doesn't mean you should forget the incident ever happened. Forgiveness doesn't mean you have to continue to include the person in your life. ... and forgiveness isn't something you do for the other person. Remember that forgiveness is big and small. Remember to keep positive and forgive so that you can be forgiven. All humans have faults, let them happen, learn and move on. Find unconditional self acceptance and unconditional other acceptance! Everyday I am reminded how kind and how cruel the world can be. Kindness is all around us, but many times we don't take the time to truly recognize the good around, only the negative. We watch the news, walk down the street, or look through a magazine or the newspaper and are inundated with negative news that is frankly unkind. What is KINDNESS? I think that most of us think about it as being nice. I want to challenge you to think beyond "being nice." What if we thought about kindness in a way that constantly built up other people instead of just doing the bare minimum to be nice to someone. What if we took time to build the person up. Every minute of our lives we choose how to live it. We can either choose to live those minutes doing hurtful things to other people or ourselves, or we can spend those minutes seeking out the better person inside while helping others find a better part of themselves. How could we help others? How could we possibly help ourselves? It really is a simpler answer than you think. The answer is being a true authentic self to yourself and to others. That means having feelings, acknowledging them, embracing them, and moving on to the next emotion. Let me give you an example. The other day I was super excited because I was able to have time to get some crafting done that I have wanted to do for a long time (and was ALL OVER THE HOUSE!). This was a very exciting time for me to know that I was going to be productive. I really wanted to share it with people around me, I guess you could say that I was looking for some acknowledgement for all of the work that I had done. So I took the time to show my husband and my friends how excited I was about my new project!! NOW...... This is where it can get tricky.... either I can be "conceited" and make it seems as though I am the Queen of the World because I accomplished so much, or I can choose to be humble...... but remember.... I was EXCITED... so that can be hard. ALSO.... The other people can be disinterested, or invest little time acknowledging me and celebrate with me. You see in this story there are three different people. Myself- I have a choice to build up myself by celebrating the things that I have accomplished. This is building myself up! This is making myself a better person by being true to myself. I also have to choice to be humble and express my excitement without casting down negative energy on the others I am showing. My husband- He has the choice to be interested or not. If he is going to take the route of showing KINDNESS, he would take the time to acknowledge my work and show even the slightest bit of interest. Why would he do this though... he doesn't care about crafting?? Well you see if we as a society are going to be KIND we need to work from the smallest bits of kindness before we can build it up. In this moment he can smile and take time to look, which validates my feelings, and creates and open line of communication that allows him to share my excitement. (or he could "validate" having a clean house..... Not as exciting though...) This won't necessarily build him up as an individual, but it will create a small moment for him to build someone else up which creates a betters healthier relationships. My friends- Now this would be similar to my husband in that the choice really is interested or not, but with friends we typically have different expectations for them. It seems as though with many of the clients I see and within my own relationship that there is an expectation that our spouse show the slightest interest. However, with friends, I just hope that they can tell me good job and only participate in a small bit of the happiness. This is more of a "drive by" KINDNESS occurrence. They really only need to provide with a brief moment of acceptance and then the topic gets to change. This is a more difficult task than it seems on paper... When we are able to look at counselor jargon we would look to the wise man, Albert Ellis. He looked at how humans can stop disturbing their happiness and explained it in his theories of Unconditional Other Acceptance and Unconditional Self Acceptance. We are all constantly having feelings good and bad. They change throughout the day, hour, even minute. If we waste our lives away by placing a weighted, global judgment upon ourselves and others, we do not have enough minutes to spend being happy. Come on people! LETS CHANGE THE WORLD and show KINDNESS to ourselves and others. Welcome to Renew Wellness Center! The first step in the journey will be amazing!! This video was created by another counselor, and he did an amazing job! I am not sure where he is located so instead of calling him after watching the video.... CALL US!!! !